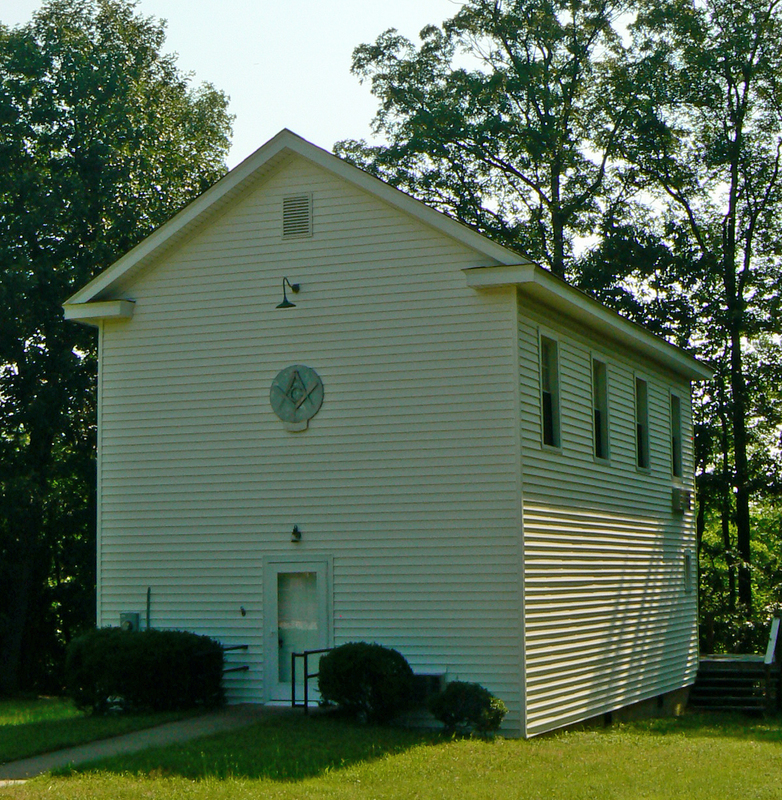 Buckingham County: Taylor Lodge #117 | slate river ramblings . . . .
After the Civil War, Frank N. Maxey established a small community at his home, Well Water, in northern Buckingham County. Eventually, it included a Masonic meeting place. Here is part of the history of Taylor Lodge #117 posted at Virginia Masonic Lodges. The charter for Taylor Lodge No. 117 was issued on December 16, 1874. The first communication of Taylor Lodge was held on May 14, 1874. Four petitions for membership were received at this meeting, accompanied by the fee of five dollars with each petition. On motion, it was unanimously resolved that the stated meetings of this Lodge shall be held at 10 o’clock A. M. on the first Thursday after the second Monday in each month. It is noted in the minutes that there was a shortage of money, as often times members would pay ten cents, twenty-five cents or fifty cents at a time on their dues. Sometimes, when a bill was presented to the Lodge for payment, it was ordered paid as soon as sufficient funds came into the treasury. Though there was a shortage of money, we find that the members performed many acts of charity for other needy members and widows. We also note that attendance was stressed and if a member missed many meetings, he was cited to appear at the next meeting to show cause why he should not be suspended. In April 1879, the time of the monthly meetings was changed from Thursday to the second Saturday in each month at 7:00 P. M. In 1881 the meeting time was changed to Saturday before the first Sunday in each month at 1:00 P. M…. At the September 1894 meeting, a committee was appointed to find a suitable location for the purpose of erecting a new Lodge hall. At the October meeting, the committee made a report on three locations: Well Water, Sharon Church and Centenary, which resulted in the site being chosen near Centenary Church. A committee was appointed to secure deed and title to the land on which to build. On September 28, 1895, the cornerstone of the new Lodge was laid in due and ancient form. Brethren from Scottsville Lodge No. 45 and Stonewall Lodge No. 300 assisted the Brethren of Taylor Lodge. The contract for the new building was awarded to L. F. Lightfoot for $545.00, and the building was to be completed by October 1895.